Another Wednesday means another challenge. This week we want you to stretch every hour, from 10am to 5pm. Sitting at a desk wreaks havoc on your spine and hips, not to mention how exhausting it is even though you aren’t physically doing anything. So take a few minutes every hour to refresh your mind and body with some light stretching. Aim for 5-10 stretches. If you need some ideas, click here. 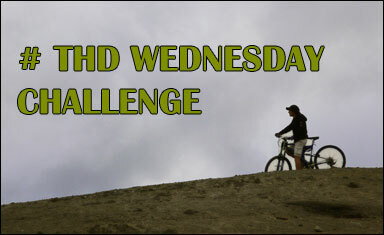 Remember to let us know how you are doing by using our Twitter hashtag #THDWednesdayChallenge or leaving a comment here. Zee (@zeethd) and Suze (@suzethd) will be reaching for the sky with you. And you can join us on Facebook too!